The challenge of making a great tasting Spiced Rum becomes less daunting when you start off with a flavorful, full body White Rum as your base so making Rum here at Copper Run has always been less of an arduous task and more a matter of the heart. We simply love Rum! That’s why we are very proud of all our Rum products. 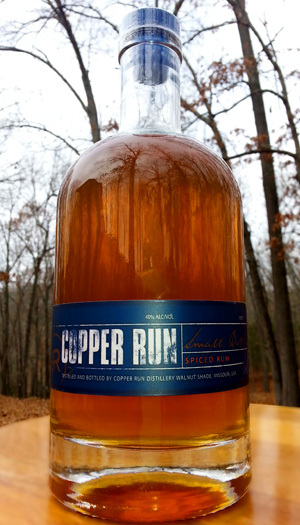 Spice up this holiday season with Copper Run Spiced Rum! Bouquet: Overtones of Nutmeg, vanilla and sweet orange zest. Finish: Long and dry with a balance of subdued sweetness and a hint of citrus. Overall: This seasonal creation has an unusual character with the most significant players being the fresh ingredients of citrus and vanilla and spiced lightly with nutmeg. Sweet and fruity!